These past two days it has been depressing to be an Israeli. It started with the police recommending to indict Interior Minister Aryeh Deri for a series of financial crimes. This is the same Aryeh Deri who served time in jail fifteen years ago for accepting bribes. 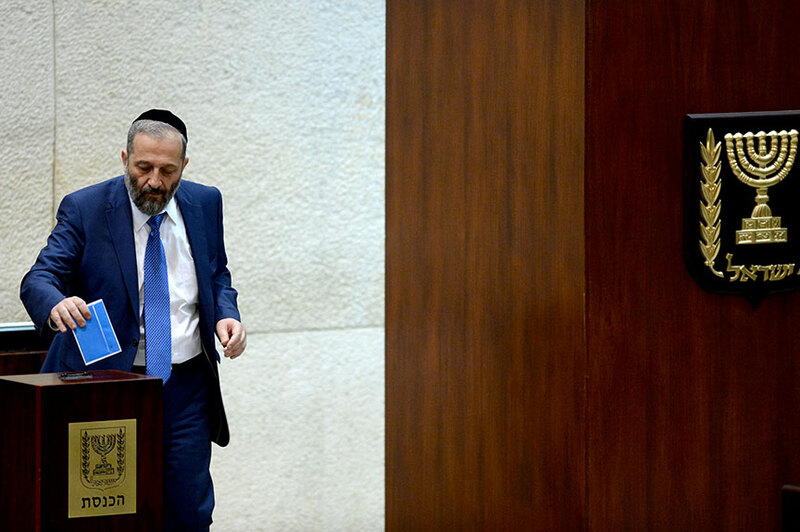 Deri joins Minister Haim Katz, and Prime Minister Netanyahu to make three members of the cabinet who the police have now recommended be indicted. Next, Prime Minister Netanyahu announced that Israel was pulling out of the UN treaty on refugees. According to Channel 10’s Barak Ravid, the decision was reached after Austria, Hungary, and the Trump Administration requested that Israel do so. Netanyahu proudly stated that “we will always fight against job seekers”, not daring to use the word in Hebrew for refugees. It should be noted that the original UN agreement was written after World War II as a direct response to the Holocaust. Israel has been active in the drafting of the newest version. But I guess our new friends are more important than the values we claim to have. As that was not enough for one day — President Trump released his embarrassing statement on why the United States was not going to take any action against Saudi Arabia he used Israel as one of the reasons. All that was yesterday- today was not quite as bad, with only two really embarrassing events at least that I can remember. A bill to recognize the genocide of the Yazidi was voted down in the Knesset along party lines. MK Yehuda Glick of the Likud voted against the bill after saying how embarrassed he was to do so, but he had to maintain coalition discipline. For those who think Israel has an independent parliament, think again. Its only true power is to approve a government or vote it down, in between it is merely a government rubber stamp. Finally tonight the Supreme Court allowed the far right Ateret Cohanim group to go ahead and evict 700 Arab residents of East Jerusalem from their homes in Silwan, that the organization was able to purchase under mysterious circumstances. One final comment on the Airbnb controversy. They did not remove places in East Jerusalem or the Golan Heights, two places that we annexed and Israeli law is the law of the land. 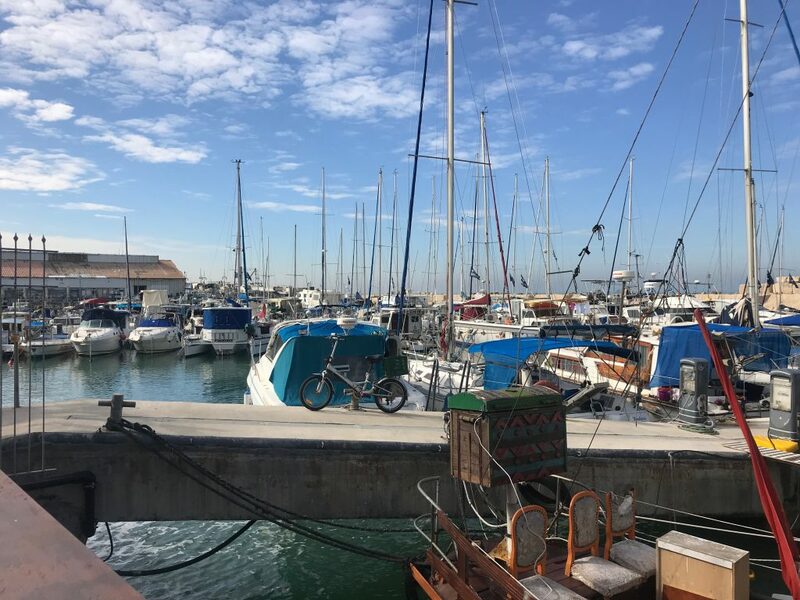 As much as the settlers try to make people believe that the laws of Tel Aviv should be the laws of Ofra, under Israeli law Ofra is not part of Israel, just administered by the military. There is a difference. For many reasons, I do not think it was a good or smart move to boycott the settlements, but it is not the same thing as boycotting Israel. I should be doing many things today. Writing up more Israeli companies for our economic App that will be coming out next month. Working on the Postwar period of American history for our website, or even working on one of our other Apps, but it is hard to get any work done today. It is election day in the United States and although I am thousands of miles away, and have a government here in Israel that is problematic, I find myself spending the day worrying about what will happen in the US. I do not think that despite being a political junkie I have never cared so much about the outcome of an interim election. I have been a student and teacher of American history all my life. I have written biographies of FDR and JFK, and the institution of the Presidency of the United and never have I seen the institution demeaned in the ways that I have seen it happen in these past two years. Never has the Presidency been run in such a poor way. Never has there been a President who has worked to divide the nation instead of at least trying to unite it. But worse than all, never has there been a President who has walked away from so many international agreements. Never has there been a President who seems valueless in his foreign policy. Never has there been a President who has not met a dictator he does not like. And never has their been a system that has not put the breaks on a President who has done all of these things and more. The American system was designed to never let someone like Donald Trump become President. That was what the Electoral College’s original role was, to stop a populist who was not qualified to become President becoming one. But that role was long ago removed. That is what the system of checks and balances was supposed to do, but a Republican Congress afraid of its base has been unwilling to do that. So what is left is midterm elections to correct. Rather I anguish as a Historian of the American Presidency- I can only hope that as I am writing this the American people are going to the ballot boxes and taking the only corrective measures they can make- Voting for Democrats! Its been a depressing two days. Wednesday was the last day of the GA. I did not participate in the event, but in advance of its happening, I wrote a Newsweek article. The article was toned down from how I felt, after seeing the schedule for the GA. It was titled American Jews and Israel We Really Have to Talk- my emphasis on Really, as opposed to what I felt the GA was going to be, a rather large whitewash of the issues. On Wednesday I had my chance to be at the GA virtually, I was asked to be in the studio at i24 News for Netanyahu’s closing speech to the GA. Bibi was late, and I spent time talking in the studio with the anchor and the other guest a charming gentleman who is personally a Democrat and works for one of the many pro-Israel groups in Washington. In our discussions before Bibi’s speech, he kept on asking if we were off the air, concerned that he might criticize the government or whoever in public. When the address or rather the interview began ( he was interviewed by the outgoing chairman of the NA Federations), I said in the studio off mic this is ridiculous there is no real getting to the issues. The interviewer started with the softest pitch ever how did you decide to get involved in government- I was assured by the other guest who knew the interviewer, that this was an age-old prosecutors tactic to make the “witness” comfortable before coming in for the kill, of course, the kill never came, and Bibi received a standing ovation at the end, after saying little more than standard campaign slogans. Afterward, in the studio, my Jewish professional colleague took on the role of defender of Bibi and the Israeli government while I was more critical. Overall it was clear that my earlier concerns were correct the GA, we need to talk was a show and a bust. The day became more confusing when I returned in the early evening to i24News, ostensibly to talk about the reports of a French peace initiative. That initiative Macron warned will be started if Trump does not come forth with his long-promised plan. I was asked to come in around 3 for a 7 PM show. Of course between the time I was invited to when the show began the news was far from static, and the reports of the various bomb attempts from the US were breaking. That was the obvious lead story for the 7 o’clock news shows, and I was asked to be in studio to help with the breaking news and so I was on air discussing the bombings trying to put some context etc. ( as much as you can in a breaking news story that you know so little). In the course of the discussion, the anchor Tracy Alexander who does a good job threw me a curve- she asked me how I would compare the recent events to the assassination of Rabin, I gave what I think was a reasonable response talking about how incitement leads to violence. After the break, we moved on to the original topic, and we discussed the Trump vs. Macron plan, two unknowns. Yesterday’s news, however, tied to the events of the night before. On the 6 PM new show Barak Ravid showed a letter he uncovered, written six months before the Rabin assassination by then Education Minister Amnon Rubenstein to Netanyahu, then head of the opposition. In the letter he beseeches him to turn down the rhetoric against Rabin, warning that if the rhetoric continues, it might lead to acts of violence against Rabin. All very relevant in today’s discourse not only because of the events in the US but also because of the attempt of the Likud here to rewrite history and claim that there was no incitement against Rabin by their people. Two other troubling events yesterday. The news show that I watch London and Kirschenbaum led off with an ad that was created by the The Public Forum for a Jewish and Democratic Israel. The ad show kids going to Yasser Arafat, High School. In the classroom, someone asks is it not true that our country was once called Israel. The teacher says yes and asks why, a kid takes out a Tanach- and the teacher asks how does he have a banned book like that. The screen then pans to the picture on the wall of Prime Minister of the country Ahmad Tibi (from the Joint Arab List). The ad was shown according to the host not to scare the listener from the ad but from the organization that was promoting the ad. Finally for those interested in some inside baseball- but its more than that- Prime Minister Netanyahu has begun a very public campaign against former Minister of Education and Likud Member Gideon Saar and to a lesser extent against President Rivlin. 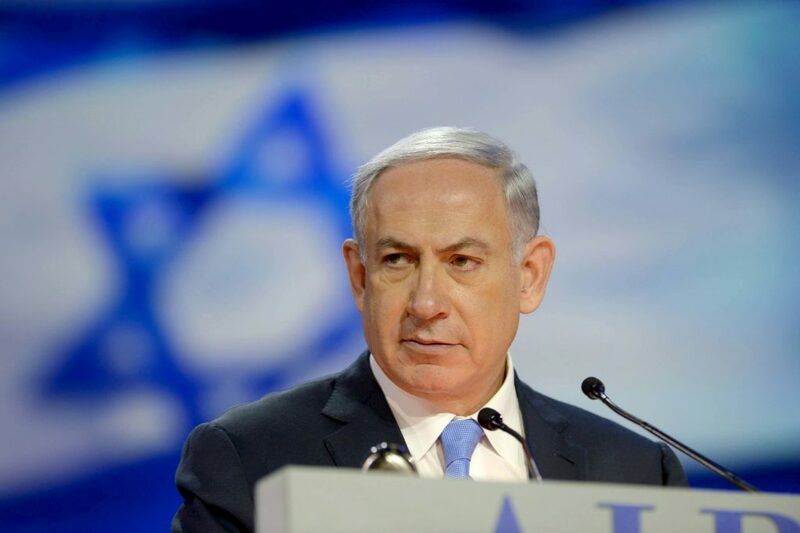 On Wednesday his house organ Yisrael Hayom led with a headline stating the reason Netanyahu did not go to new elections now is his fear that if the Likud leads after the next election the President will not appoint him but Saar to form the government. Rivlin office said it was nonsense and Netanyahu was paranoid. Saar denied the charges and said he supports Netanyahu. Instead of letting the story die on Wednesday night Netanyahu publicly charged Saar with trying to organize a putsch against him. This time Saar did not hold back on attacking Netanyahu for making up false charges and effectively saying what Rivlin said the day before that Netanyahu is paranoid. Up to now, no proof has been presented. Unfortunately for Netanyahu despite his media skills, his Trumpeske fake news has not been as successful even with his supporters. 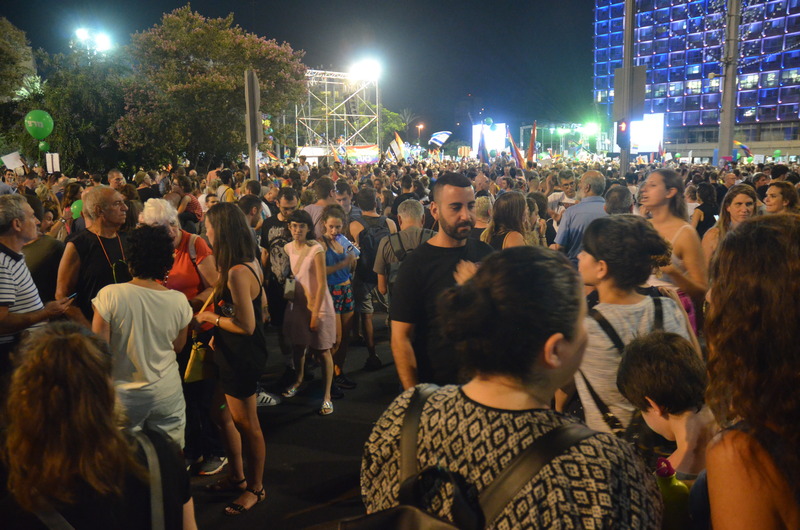 I just came back from the very large rally in Kikar Rabin (60,000-100,000)against the vote in the Knesset not to include gay men in the law approving payments for surrogate adoptions. It was the largest rally that I can remember recently, and it followed a day of strikes and smaller rallies all over the country. The rally was attended by young and old and probably most important a demographic that has been missing from most protests this year- the 30 somethings that were there in large numbers filling up the square. While the rally and the days’ events were initially aimed solely at the issue of gay surrogacy- it soon became apparent that the issues were larger. The anger was directed at all of the many things that the government did in the past week and beyond. Speakers talked about the arrest of the Conservative Rabbi. A settler from a Kibbutz surrounding the Gaza Strip spoke about events there this past week, Yael Dayan(daughter of Moshe Dayan), 80 and ailing spoke, about saving the Declaration of Independence from the Nationality Law that passed last week. Bibi brought this on himself by his zig zags last week. On Monday speaking out and releasing a video supporting gay men receiving the same rights as other in surrogacy, and then on Thursday when the Ultra-Orthodox threatened him he led the vote against it. That act inflamed the feeling of that part of the country who have liberal values and do not want to be dictated to by a group of Ultra-Orthodox Rabbis. It coalesced around the issue of LGBTQ rights where there is wide consensus and where everyone knows someone- but it may be deeper. Ultimately that is the question of the night. 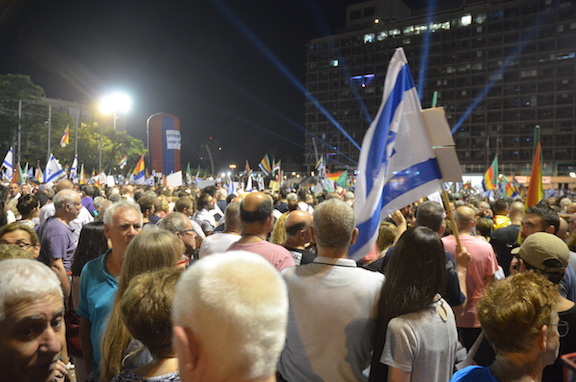 Have the events of the past weeks awakened those who want Israel to be part of the Western world – a liberal democracy from the slumber, or is this another transient phenomena limited to a single issue? I do not have the answer. It’s been a difficult day for Prime Minister Netanyahu. For the first time in at least a generation to the leader of the Jewish world ignored the recommendation of the Israeli Prime Minister and picked someone he did not want to be the Head of the Jewish Agency. They nominating committee overwhelming selected Opposition leader Yitzhak Herzog. The head of the Jewish Agency has traditionally been from the same party as the Prime Minister. Netanyahu had wanted Yuval Steinitz currently the Energy Minister and a Netanyahu loyalist. However, the diaspora leaders said no, they wanted Herzog. Some say it is a result of the anger at Netanyahu that still exists because of his withdrawal of the Kotel deal. There can be no question that Herzog is the more qualified candidate. He has a better understanding of the diasporas, grew up in a home that was deeply Jewish and is as close to royalty that exists in the country. His Grandfather was Chief Rabbi and his Father both UN Ambassador and President. By all accounts in the period that he was actually a minister he was considered to be very competent, and of course, there is the small matter that he is a Ramaz graduate. Of course, there is a chance that this is really wanted Netanyahu wanted to happen. He and Herzog have always gotten along well, and he knows that he will be a good bridge to the diaspora. Netanyahu did not seem to fight very hard. Israelis political observers believe he was surprised by the development. Even though I am not a great fan of Bibi when it comes to politics there is very little that gets by him. It should be noted that with opposition receiving the Jewish Agency there will be pressure to give the Likud the Jewish National Fund. It is the JNF that has real money, over $1 Billion in the bank and land worth many times that and that is the real prize for the Likud. A Likud member argued with me today when I said that this was a problem. He countered that the JNF is corrupt, I agreed- but then he said that the Likud would clean up corruption. I just laughed and said that the Likud and cleaning up corruption were an oxymora . The bigger problem for the Netanyahu is no doubt the decision of the Attorney General to indict his wife on fraud and breach. The case relates to ordering $100,000 of outside food for personal use while at the same time having a cook on premises to cook. The real problem in what happened is she lied about it, and to use plain vernacular she tried to cook the books. While this case is not really connected to the main cases against Netanyahu there are similarities. The Case 1000 is all about getting gifts for Netanyahu and Sara, and both Case 2000 and 4000 which both center on getting favorable news coverage for Bibi and in many cases Sara. So while Bibi is not implicated in this case Sara is directly and indirectly in the others. It should be noted that in 1977 Prime Minister Rabin resigned because his wife illegally held on to their dollar account in the US. At the time it was illegal for Israelis to have accounts outside of the country, and the Rabin’s established the account while he was Ambassador to Washington. According to the law at the time you had to close the account within three years and the account was discovered by a reporter four years later. On a side note, I mentioned the Rabin story to an Israeli friend who is in her late 30’s and she had no idea. I guess it is not taught in history class. Prime Minister Benjamin Netanyahu’s visit in the United States to speak in front of the Congress. I wanted to share what I found a disturbing encounter I had this evening. I appeared on i24News in Arabic something that I do once or twice a month. I speak in Hebrew and its translated into Arabic and of the reverse for the questions or another guest words. I was there to speak about the differences that Sec of Defense Mattis has been saying – The US will continue to have troops in Syria and President Trump who says they should all come home. The other guest in the studio was talking about the agreement to evacuate the Palestinian Refugee Camp on the outskirts of Damascus. The other guest was speaking in Arabic and the Hebrew translation in my ear kept talking about the terrorist. Every reference to the rebels and the Palestinians was to the terrorist. I thought there might have been a problem with the translation so when the segment was over and we got up to leave I asked him did you say all the time in Arabic terrorists. He said yes. We then began arguing, he saying that all the opponents of Assad are terrorist, he did not start the war it was outside terrorist sent by Saudi Arabia that began the war. I of course disagreed. I then asked him if it was ok for Assad’s planes to bomb hospitals. He said yes they are all terrorists in the hospitals and its fine to bomb them. I said it was against international law and to the best of my knowledge no one had ever deliberately targeted hospitals before. He started yelling you westerners with double standards, what did you do in Hiroshima. He then said something about us being like the Crusaders ( I am not sure I fully caught that) and that they (whoever they were ) were here before us and will be there long after we are gone. It’s Yom Hazikaron here in Israel. The day when most of the country comes together and remembers the sacrifices that this country has required. 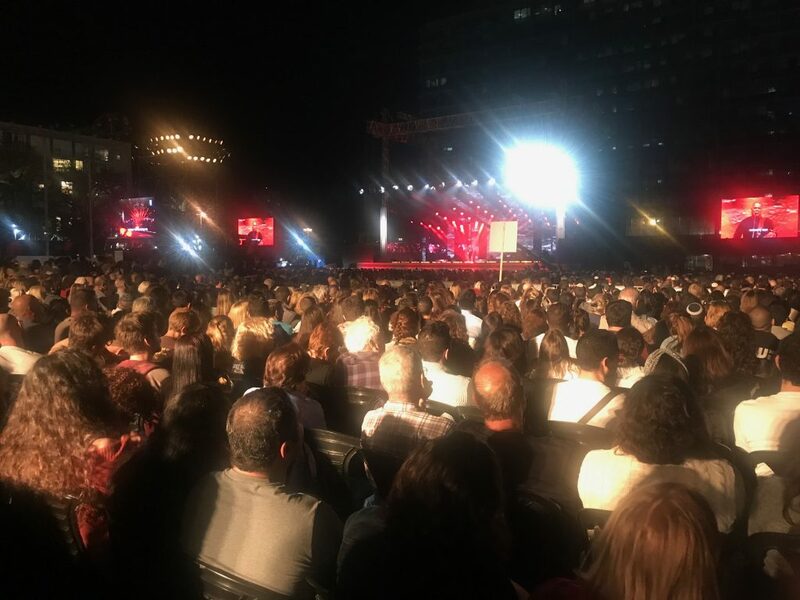 The ceremony in Rabin Square varies little from year to year, sad songs interspersed with the stories of the those who have fallen. Those stories are always well done and moving with often parents or other loved ones talking about the fallen. Tonight I was struck by the number of stories of those who perished in the Yom Kippur War or the time before and after. Very often soldiers who were close to my age. In almost every one of these cases, it was a brother or a friend from the unit who spoke, for by now the parents are gone. Its hard hearing the stories and thinking of the kids who were my age, but never got to live the life that I have had. Never got to have children and grandchildren. It’s hard to realize what so many sacrificed so that we could live here in freedom. Tonight’s events come one week after Yom Hashoah, and in some ways put the sacrifice of Israelis into perspective. The 23,646 soldiers who died represented a terrible loss. However, I can still remember my Mother talking about all of her first cousins (probably 40 out 45)who died during the holocaust and never got to live, and then I think of the 1 million children who perished, a number that is simply too big to understand. So here we stand 70 years after the establishment of the State. The State of Israel that we the Jewish people dreamed of and the founder of Modern Zionism took the steps to make it a reality. That state in many ways has succeeded beyond the wildest dreams of its founders. We are a wealthy country with a strong economy who despite our small size leads the worlds in many areas. And yet in one way it has not succeeded at all. Our children like us still have to go into the army. We fear that next year when we commemorate Yom Hazikaron the number of those we remember will have gone up. I was about to go to sleep when the news just hit that General McMaster has been replaced with Bolton. McMaster is a General and a scholar of the Viet Nam War. Like most people who have actually been in the army and fought, he believed in doing everything you can short of going to war. Trump and Bolton have not been in the army. Bolton has been a strong supporter of using military force. 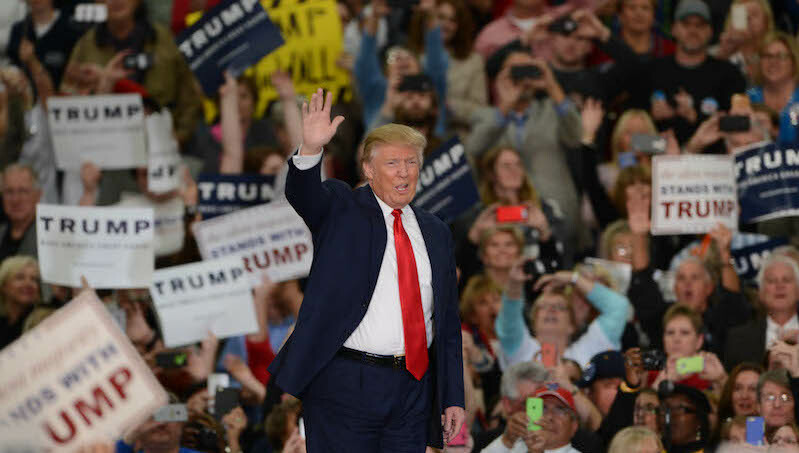 He has proposed a preemptive strike on North Korea, and is a strong supporter of ending the Iran agreement. I have to say sitting in Tel Aviv I really find this scary. I have been trying to understand why PM Netanyahu has been pushing at the moment to end the agreement. I understand he always thought it was a weak agreement, but the weakest part of it is that it partially sunsets in 8 more years. Why on earth would you force it to sunset now? With a US administration that is in chaos? With a US administration that is angered most of the world on what matter or another? With an administration that has just announced it is starting a trade war with China? Just a late night rant- maybe now it makes sense why the Israeli government acknowledged our bombing of the Syrian reactor, despite the fact that the intelligence community thinks it was a bad idea- to show it can be done. Begin did it, Olmert did it now Bibi wants to do it. There was an article this week in Maariv that said the Bibi knows he will be indicted, he is just playing for time hoping for a miracle (or a war). Three adults have left the administration in one week- Cohen, Tillerson and now McMaster. They are being replaced by people with less experience and knowledge whose main qualification is they know how to say yes to Trump. Oddly tonight on the Israeli news Nadav Eyal did a piece on the Iraq War 15 years later, similar to what I wrote in my Newsweek column today and he was asked by Yaron London if there were anyone who still thought the war was a good idea- His answer John Bolton. Help…. Thanksgiving, Tzipi Hotovely, and American Jews — A Bit of a Rant! Today is Thanksgiving. It is the one American holiday that our family continues to celebrate in Israel. This year, as in most past years, the majority of the people attending the celebration will be friends of my daughter Tali. This time she did most of the cooking. My main responsibility was purchasing the turkey. Not as easy as it sounds. Supermarkets in Israel do not stock whole turkeys, and it required special effort to get my local market to order one. It is so rare that when I got to check out line, the woman manning the cash register called over the other workers to see something they had never seen before … a whole turkey. Thanksgiving brings up happy memory of my youth. 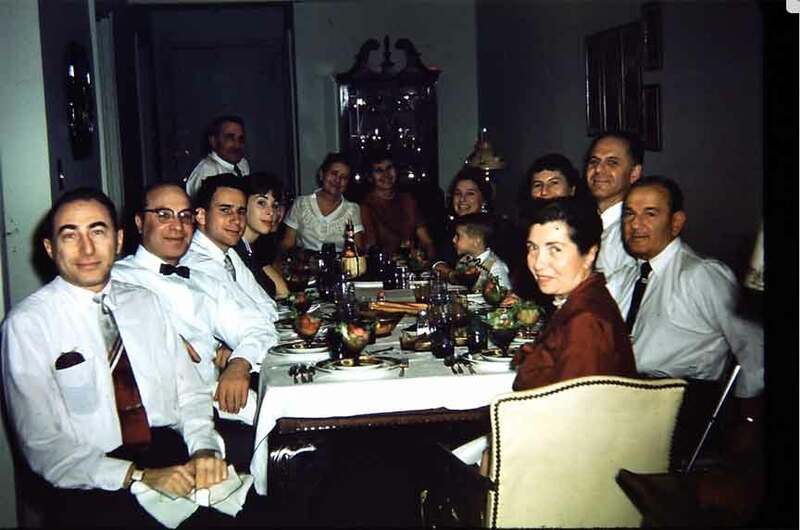 For all of my childhood and teen years we always went to the Thanksgiving dinner hosted by one of my Grand Aunts. They were big affairs with the large extended family in attendance. Everyone would bring something else, with my Grandmother making her lemon meringue pie, and my Grand-uncle Morris, a veteran of the US Navy (one of the first Jewish Naval officers) always being in charge of carving the turkey. Remembering those events also reminds me a little of how I felt in the last few years I attended the event, as the year of my Aliyah and induction in the Israeli army came closer. I was so sure of myself then. I knew all the answers. I felt a little superior to some of my relatives, with my clear connection to Israel (at the time I was already working for the Jewish Agency). I remember giving a speech at a convention, a few weeks before we (myself and several friends) made Aliyah — the complete details of which I do not remember, but it was clearly a speech that represented my view at that time, which was the traditional “Shlilat HaGolah,” or negation of the diaspora. Over the past 40 years, some of that time spent living here in Israel and some time in the US, my views have evolved. There was no question that 42 years ago when I first made Aliyah, I believed every Jew should move here. I really did not see any future for the Jewish diaspora. Today, I feel it’s not that simple. While from a national perspective, I still believe it would be great of all Jews moved to Israel, I know that that’s not going to happen and that this place that I have always called home — even when I did not live here — is not the right place for everyone. As to the future of the diaspora, it’s four decades later and the US Jewish community, despite what I thought then, is still going strong. Still the same concerns I had 40 years ago remain. Which brings me to the events of the last two days. 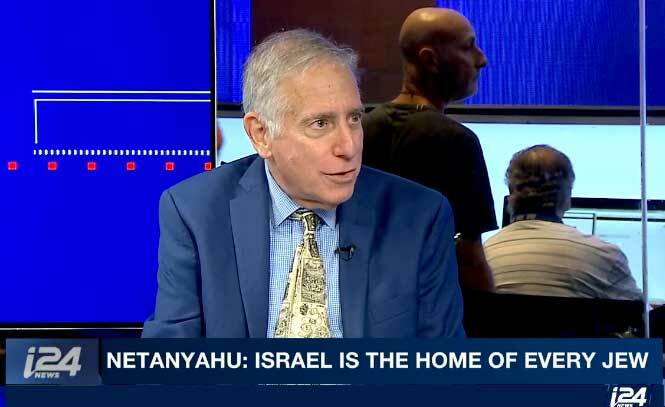 Yesterday I participated in an hour-long show on i24News, where the main guest was Morton Klein of the ZOA. My parents met each other at the young ZOA, and both were extremely active in that organization in their youth. For many years, throughout my childhood, my parents would go to monthly ZOA meetings, where they would have food, listen to a speaker and discuss events. Back then, ZOA was non-political, similar to Hadassah — a far cry from the very right-wing ZOA of today, whose annual dinner was attended by Steve Bannon. However, that is not what I want to write about now — nor do I want to write about the high salary the ZOA pays Klein as President. I guess I am just jealous that I was a lay President of a Jewish organization (a school) for nine years and never saw a cent. Being unqualified for her job, Hotovely had no idea that the claim she made is an old canard used by antisemites, claiming that Jews do not fight in the army. Of course, during the times of the draft in the US, that claim was just false — the Jews sent the highest percentage of soldiers to fight in World war II of any ethnic group and leaving apart the American Jews I know serving in the Armed forces, there is an element of truth. 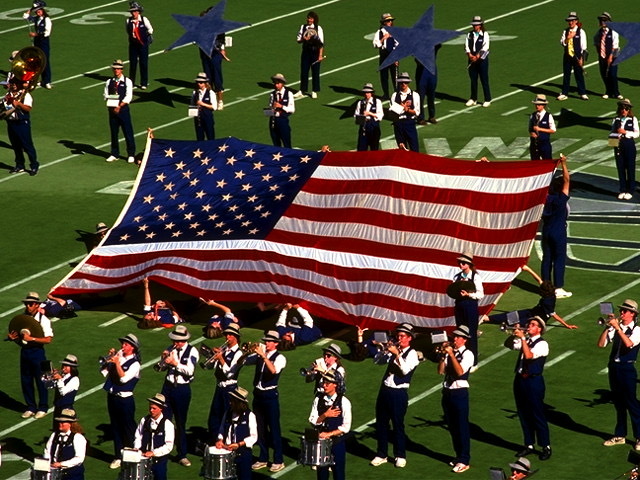 The US armed forces consist primarily of people from either the lower middle class or from families that have long traditions of service in the military. Neither of which are groups that Jews are generally a part. So, yes there was a grain of truth in what she said. There was an even greater truth in what she meant to say — or was trying to say — however awkwardly. There is a gulf of understanding between those who go the army and those that do not. There is a gulf between those whose children have to go to the army and those that do not. I feel it personally, as the draft date for my youngest rapidly approaches. There can be no denying how it impacts the relationship between American Jews and Israelis, but that has always been the case. Whether it was in ’67, ’73 or any other point, that difference has always been very real. No, the problems in the relationship today have nothing to do with this unchanged reality, they have everything to do with the Kotel agreement the government failed to honor; Netanyahu’s embrace of Trump, when most of American Jewry hates him; the failure of the Israeli government to speak out promptly about antisemitic incidents in the US and other similar issues. There are many fundamental issues at work that nobody wants to even discuss — like what happens to a relationship that was fundamentally based on dependency, once the dependent party (Israel) is now strong and wealthy? Instead, everyone has called for Hotevely to be fired. I agree she should be fired because she is unqualified for the job — having no diplomatic experience and representing the extreme right-wing of the government, i.e., not really the type of person you want to effectively put in charge of the Foreign Ministry, but the careless half-truth she uttered last night is clearly not the reason. Which brings me back to the beginning of this rant — Thanksgiving. Two days ago, Sarah Huckabee, the White House Press Secretary asked reporters to say what they were thankful for before asking questions. It was not an appropriate question, however, since one of the hats I wear puts me on the White House press list, I will answer that question — as someone who is a much less sure of myself than I was so many years ago at my grand-aunt’s house on Thanksgiving … I am thankful for the wonderful family that I have. I am blessed with a happy marriage and three wonderful grown children. I am also thankful that in this period before the twilight of my life, I have the opportunity to share my opinion on matters such as this, since other than the bored readers who have read through this piece, earlier tonight I had the chance to appear on Arabic TV and try to explain the Hotovely controversy to an Arabic speaking audience.